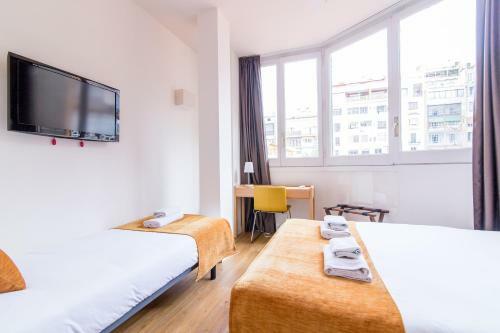 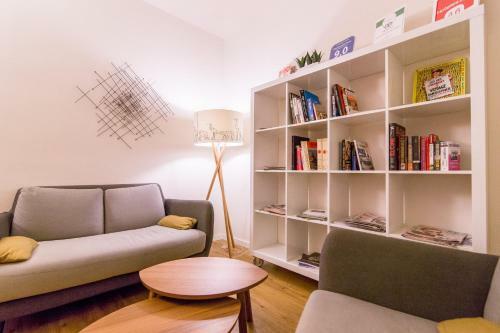 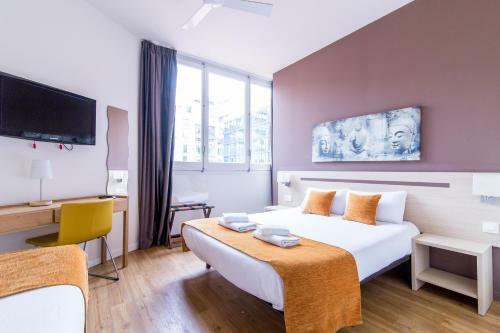 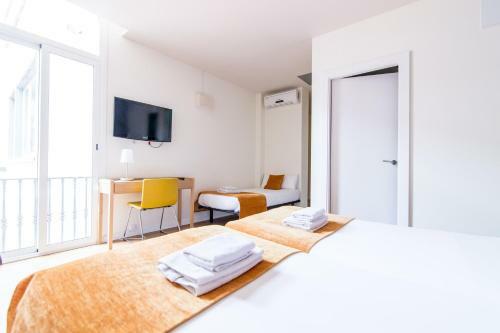 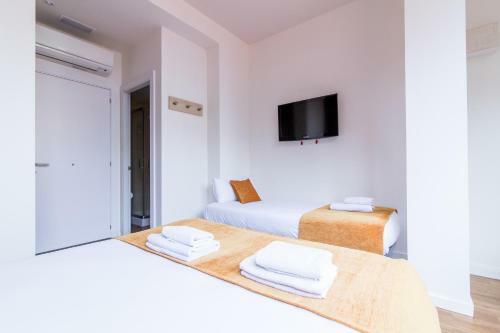 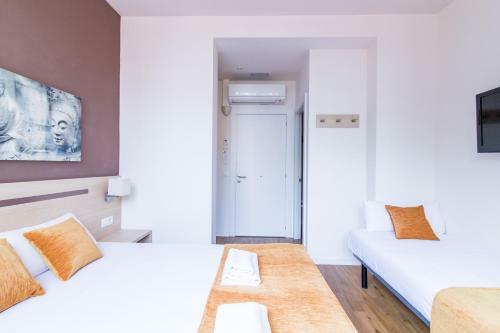 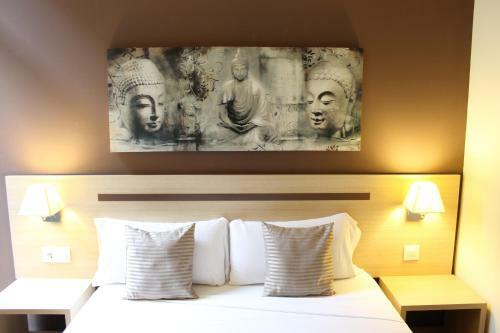 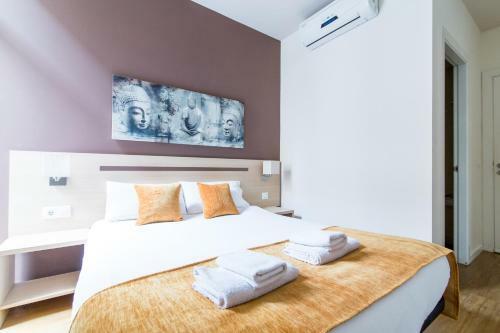 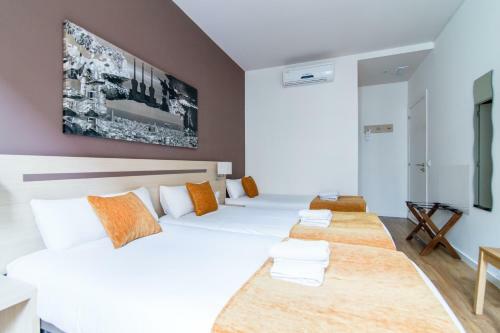 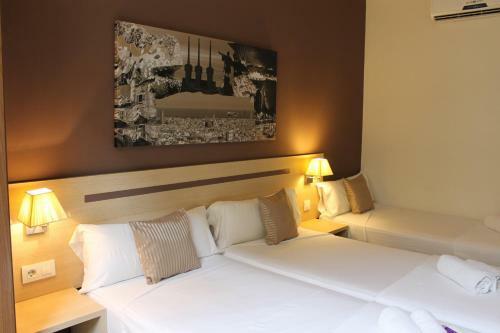 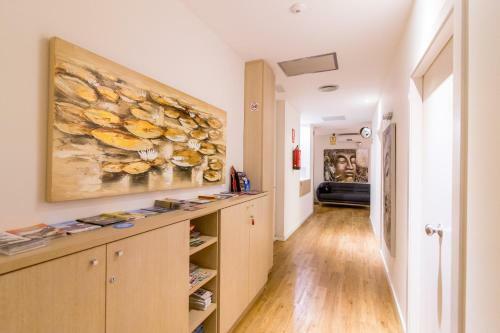 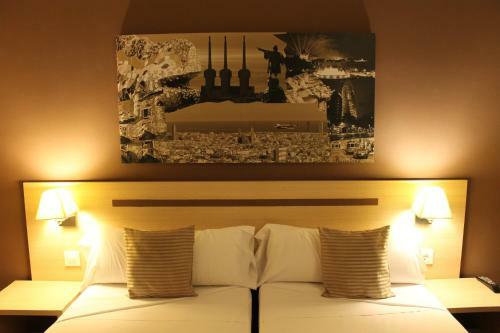 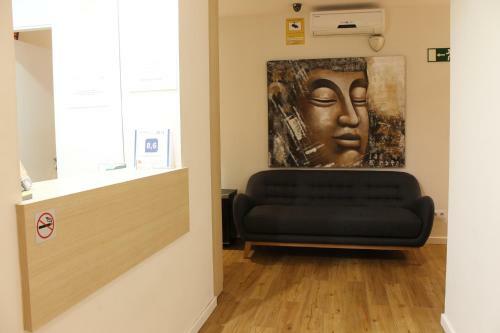 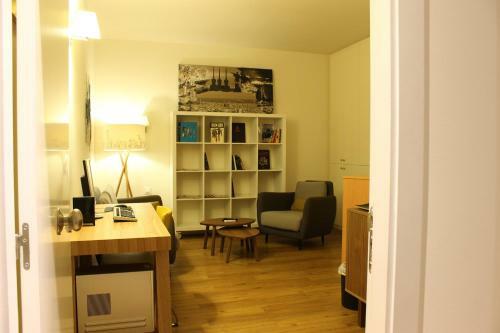 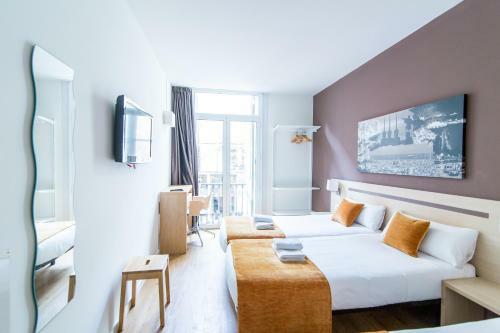 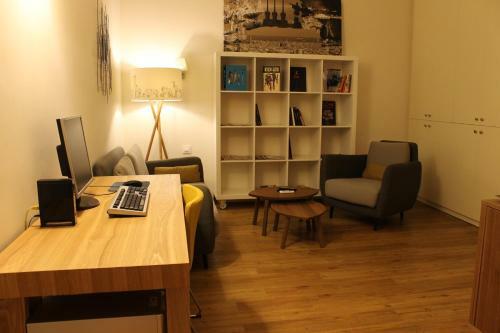 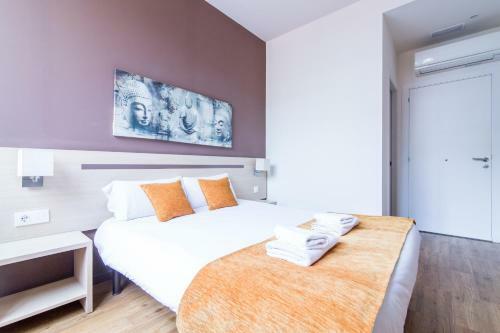 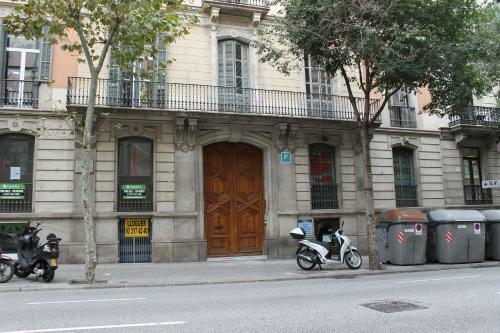 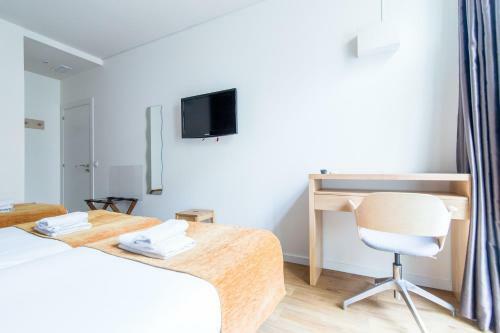 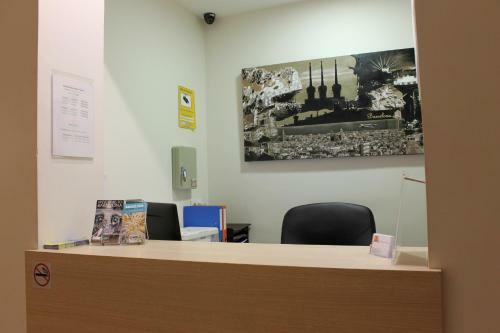 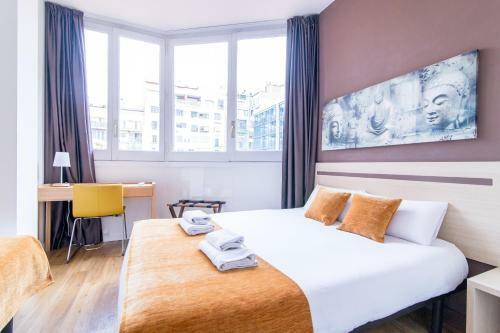 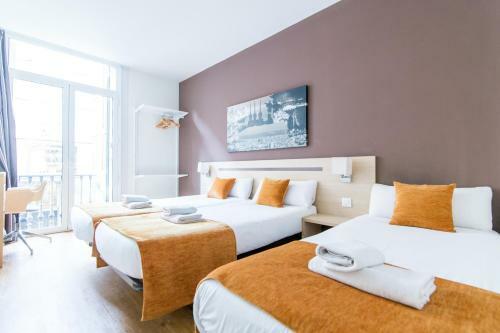 Within 5 minutes’ walk of Passeig de Gràcia and Catalunya Metro and railway stations, Hostal Barcelona Centro offers modern rooms with free Wi-Fi. 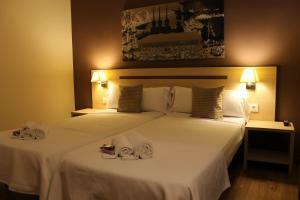 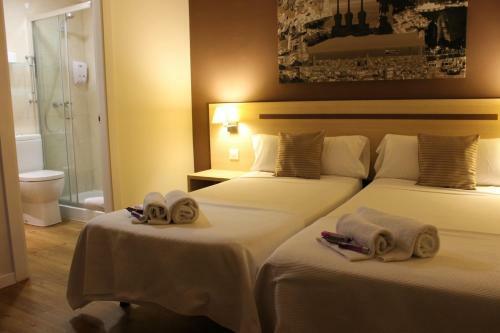 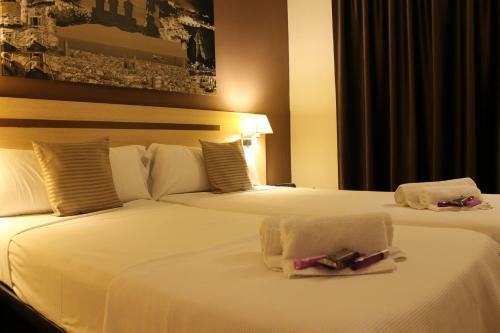 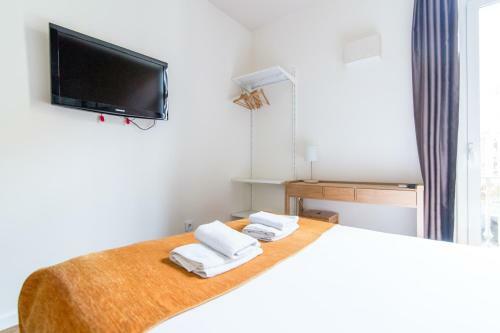 Each air-conditioned room at Hostal Barcelona Centro has a flat-screen TV, heating and private bathroom. 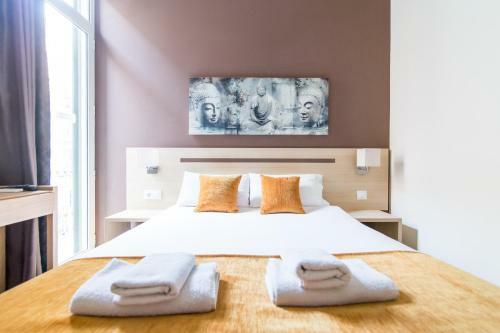 Restaurants, bars and cafés can be found on Passeig de Gràcia and around Las Ramblas, 10 minutes' walking from Hostal Barcelona Centro. 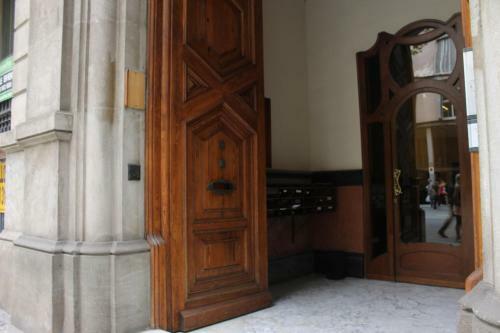 Gaudí’s Casa Batlló and La Pedrera can be reached in 5 minutes by foot. 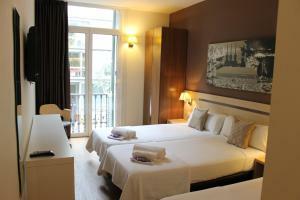 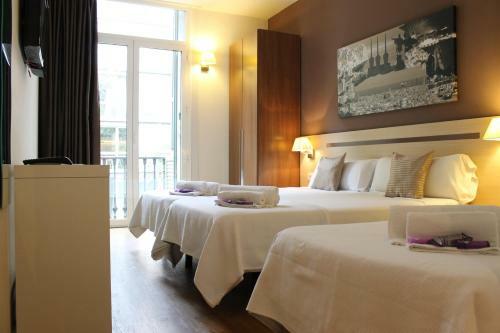 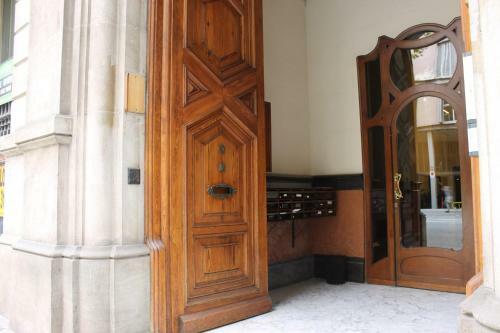 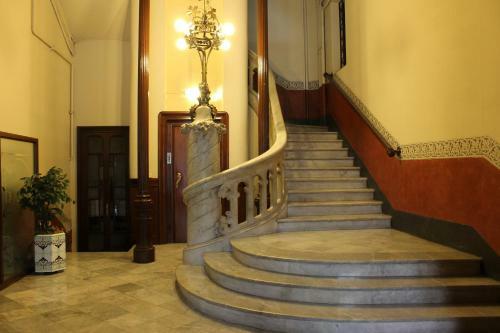 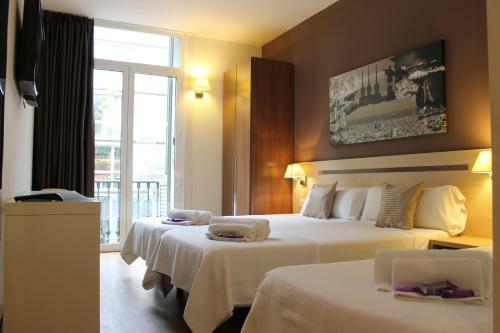 Plaza de Catalunya and the Gothic Quarter are within 600 metres of the guest house. 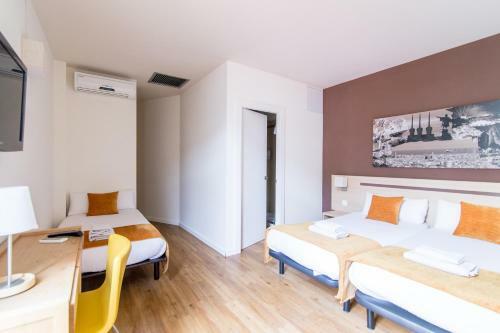 Please let Hostal Barcelona Centro know your expected arrival time in advance. 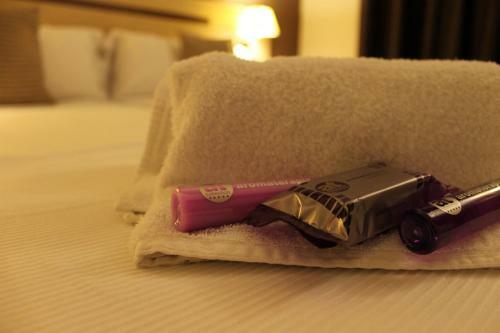 You can use the Special Requests box when booking or contact the property. 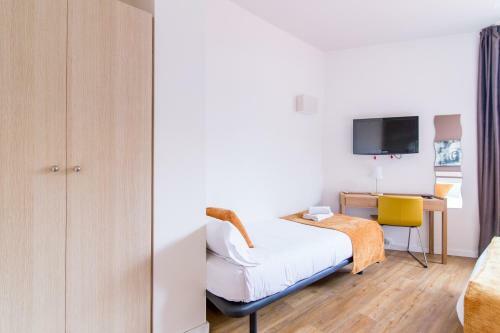 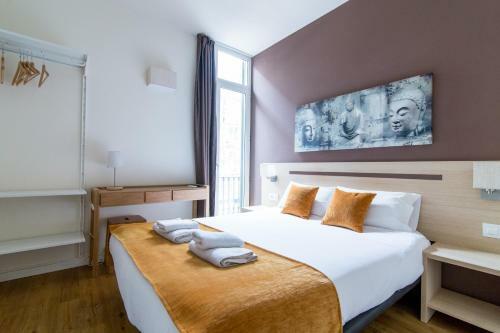 These modern rooms feature 3 single beds or 1 double bed and 1 single bed. 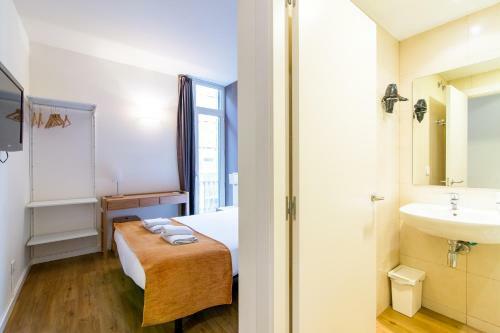 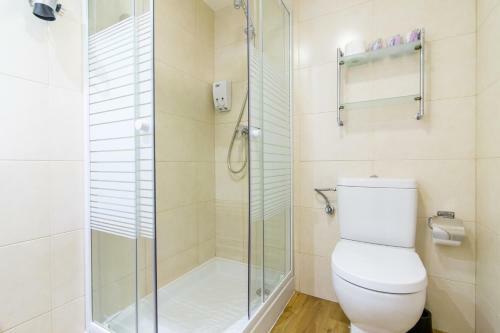 They include a large private bathroom with toiletries and a hairdryer. 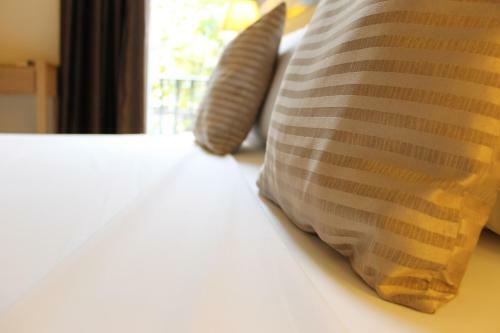 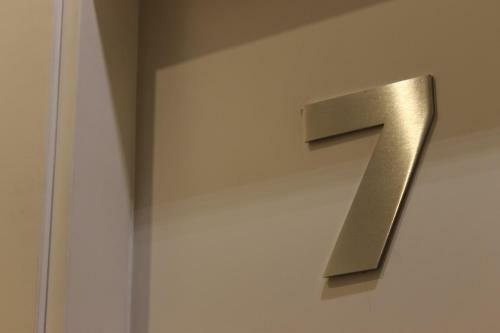 In-room amenities include a 32-inch flat-screen TV, free WiFi and ironing facilities. 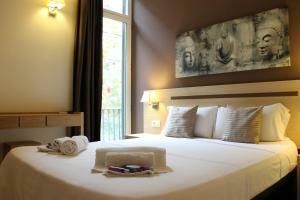 Rate: € 63.00 ... € 85.00; select dates below to get current rates.